I’m often asked about the home automation system I installed in my smart home. Between mobile broadband, intelligent sensors and software, I’m able to control my thermostat, a webcam and multiple lights all from my Android(s goog) or iOS(s aapl) smartphone. But the first question you need to answer when considering a project like this is: Which networking protocol do you want to use? The answer to this single question affects every home automation decision down the line because of compatibility. Choosing among ZigBee, X-10, Z-Wave, Insteon and others (I chose Insteon) dictates which compatible devices you can connect in your smart home. 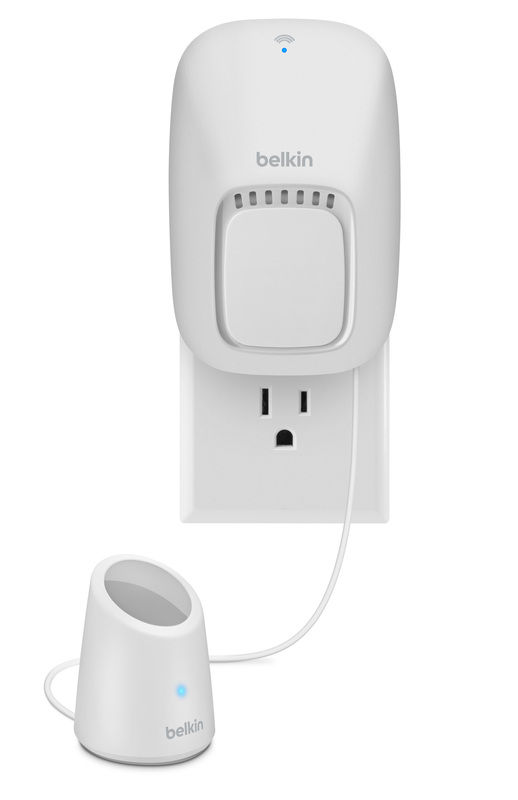 With so many choices, maybe a simpler approach is needed, and that’s exactly what Belkin is offering with its new WeMo product line. Belkin introduced the WeMo products earlier in January, but I only recently realized they were Wi-Fi-based. Using a ubiquitous wireless standard is huge, assuming it works; the first products don’t arrive until March, so I haven’t tested them. A $49 outlet and $99 motion detector with outlet will be the first WeMo offerings, and you just plug in any electrical device you want to control to the WeMo product. The devices can then be controlled with a free smartphone app. If Belkin’s WeMo products catch on, it means do-it-yourself home automation won’t be relegated to the early adopters and mobile geeks like me, because the technical question of a network protocol simply disappears. 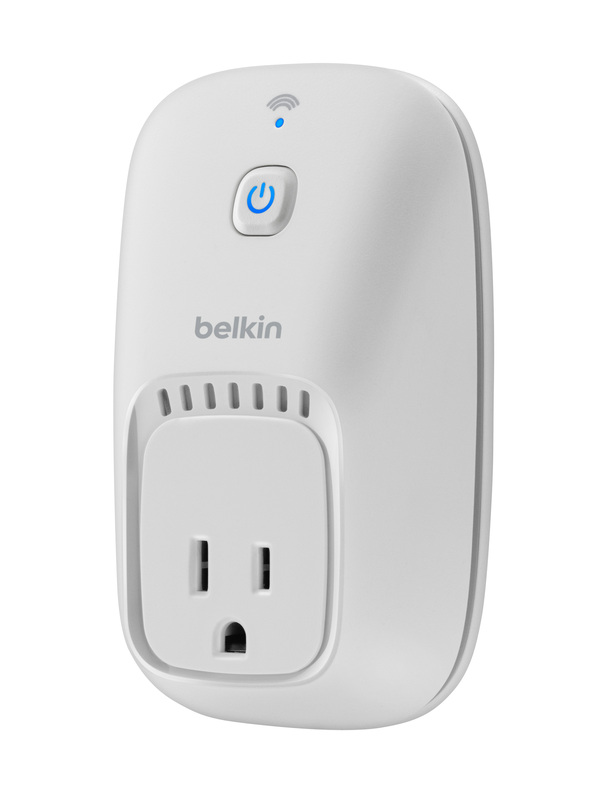 That’s important, because Belkin’s products are generally a plug-and-play system; the Wi-Fi modules are in the smart outlets or switches and they connect to the Wi-Fi network that’s likely already in the home. In my case, using Insteon, I had to add a Wi-Fi access point to my home automation server; that allows me to interface with the “brains” of the system. But the system itself transmits data and commands through the Insteon solution: a separate 900 MHz wireless network that can also use my home’s electrical system to shoot information over the powerlines. For mainstream consumers, this is too much to deal with. But when consumers hear something is compatible with Wi-Fi, it’s a network they’re already familiar with. They’re used to adding Wi-Fi objects to the home, whether its a television set, a tablet or a digital camera. For most people, Wi-Fi simply works in a “magical” sort of way, which is how Belkin is presenting the new WeMo products. Does Wi-Fi already own the home as we said several years ago? Yes. Is Wi-Fi the best standard for home automation? That’s arguable, and I’m not sure I’d say yes. Other protocols have advantages in terms of power consumption, lower frequencies for better wall penetration and backup communication methods. But these options are an alphabet soup of acronyms and terms consumers don’t yet understand. Ask someone what Wi-Fi is, however, and I’d bet even a pre-schooler could tell you. IP-based devices (wired or wireless) by themselves aren’t enough to create a “standard” – there needs to be a standard application-level protocol as well. Currently, every home automation vendor implements their own proprietary protocol on top of whatever physical connection they choose (powerline, proprietary RF, standard RF, etc). So, if you’re a vendor of software to control those devices (either server-based or mobile app) then you have to implement every device as a unique device. Jay, thanks for chiming in. You’re correct in that the network protocol is only part of the puzzle; getting HA objects to speak to each other in a way they can understand is big part as well. Appreciate the thought! Yeah, I’d have to agree Jai on this one here. Even if people don’t know exactly how WiFi works, everyone is extremely familiar with it already. I’ll check with the guys that do home automation Puyallup and see what they think about this. I’m always disappointed by the amount of electricity these things use while waiting for a command. Especially as most of the time they are idle. Beklin products may be different, but I don’t see how. I do not think that WI-FI could make the difference. I think that the main reason to buy something is if you believe it will work. If you have confidence with it or the company that offers it, you will buy it, regardless the protocol. It doesnt matter if it is zigbee or wifi. Which is the protocol of your garage door or your car key? One more thing, do you want your security system available via IP directly from the Internet? This was supposed to happen with WiFi Direct, which is really on ly starting to roll out now. WiFi chip sets are still extremely expensive but hopefully greater utilization will start to bring the price down.